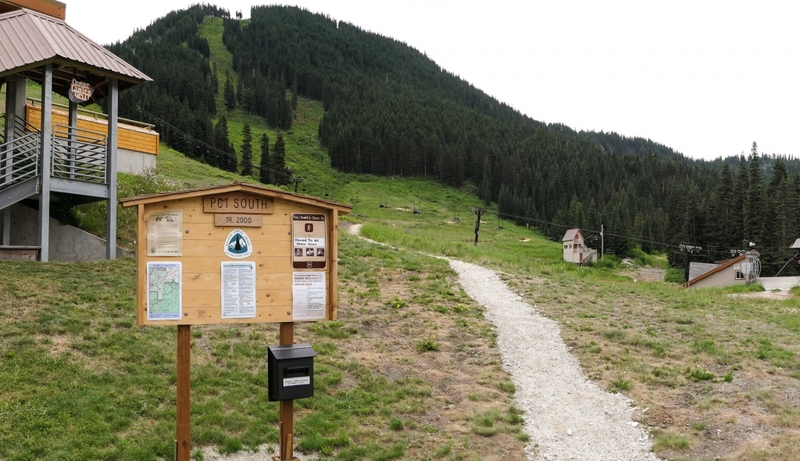 Stevens Pass, a key Pacific Crest Trail access point in the Cascade Range east of Seattle, is the PCTA’s latest land protection purchase. On Wednesday, after years of work and major help from private donors and trail lovers, we closed the $1.6 million acquisition, buying 402 acres from a private seller. This once-imperiled property provides the only feasible trail corridor for the PCT through this area, and it’s now available for perpetual public use. 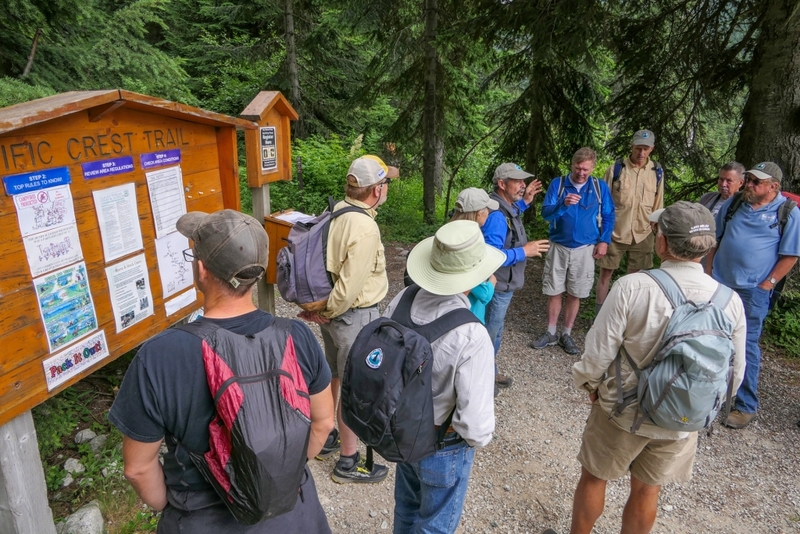 The Stevens Pass trailhead, 78 miles east of Seattle, is an important PCT access point for millions of people in the Greater Seattle region, including day hikers, weekend backpackers, horseback riders, snowshoers, backcountry skiers, and birdwatchers. 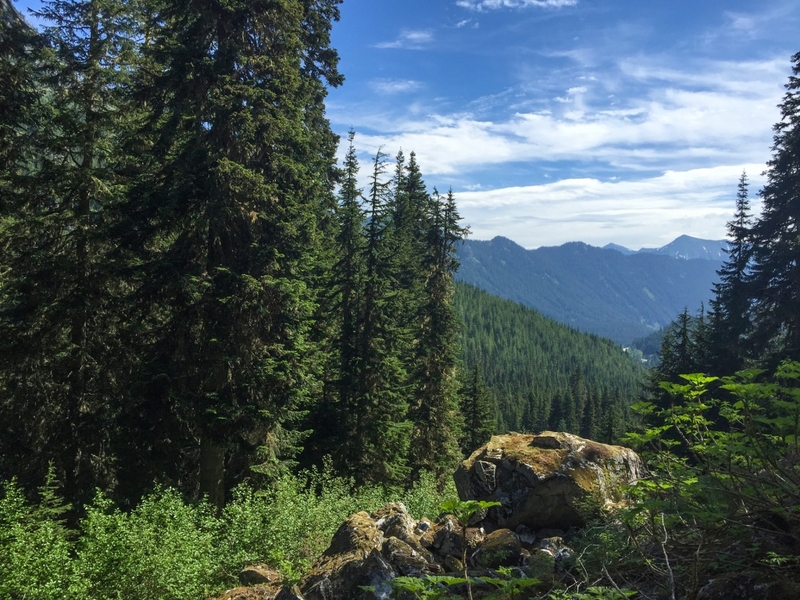 Its mixed conifer forests and alpine environs host an abundance of wildflowers, birds, and other species, and nearby streams and rivers are spawning waters for endangered chinook, sockeye and steelhead. Stevens Pass is also a gateway to some of the most spectacular wilderness in the North Cascades. Just to the south lies the remarkable Alpine Lakes Wilderness, and to the north are the equally magnificent Henry M. Jackson and Glacier Peak wilderness areas. The PCT south trailhead at Stevens Pass ski area. In early 2015, the property’s owner, who had been seeking to sell the land, stated an intention to place a fence across the PCT and prohibit public access. A trail closure and the possibility of development would have been disastrous for the iconic PCT experience—and would have closed an important access point from Stevens Pass to millions of acres of wilderness enjoyed by visitors from throughout the Pacific Northwest and beyond. The PCTA, working with the U.S. Forest Service, secured an option agreement to purchase the property for $1.6 million with funds from the federal Land and Water Conservation Fund (LWCF) and private donations to PCTA’s Land Protection Fund. Ultimately, the property would be acquired by the Forest Service and become part of the Okanogan-Wenatchee National Forest. But before closing the deal, the LWCF funds were diverted to help pay the cost of fighting 2017 wildfires—putting acquisition and protection of the property on hold. In a race to find an alternate source of funds to purchase the property before the option expired, the PCTA approached the national nonprofit The Conservation Fund, which immediately recognized the importance of protecting Stevens Pass and provided a $1.2 million loan. Donors passionate about the PCT also contributed—enabling the purchase to proceed at the last minute. PCTA Northern Regional Representative Bill Hawley talks with PCTA board members and staff at the PCT Stevens Pass north trailhead. The Conservation Fund is a national environmental organization and has been a key partner for protecting the Pacific Crest Trail and lands surrounding it, including in southern Oregon where hikers pass the prominent Pilot Rock as they trek through the ecological wonder of Cascade-Siskiyou National Monument, and in southern California for lands within the Johnson Canyon Area of Critical Environmental Concern. Through its Conservation Loans program, the Fund provides versatile, low-interest loans to help accelerate the pace of conservation in communities. Top-ranked for efficiency and effectiveness, The Conservation Fund has worked in all 50 states since 1985 to protect nearly eight million acres of land. The PCTA will hold the property in trust until the federal LWCF funds are reallocated and the organization can be reimbursed. It’s unclear when federal funding will become available again. The PCTA has been assured funds will be allocated for this project and is working with agency partners and Congress to ensure it happens in a timely manner. 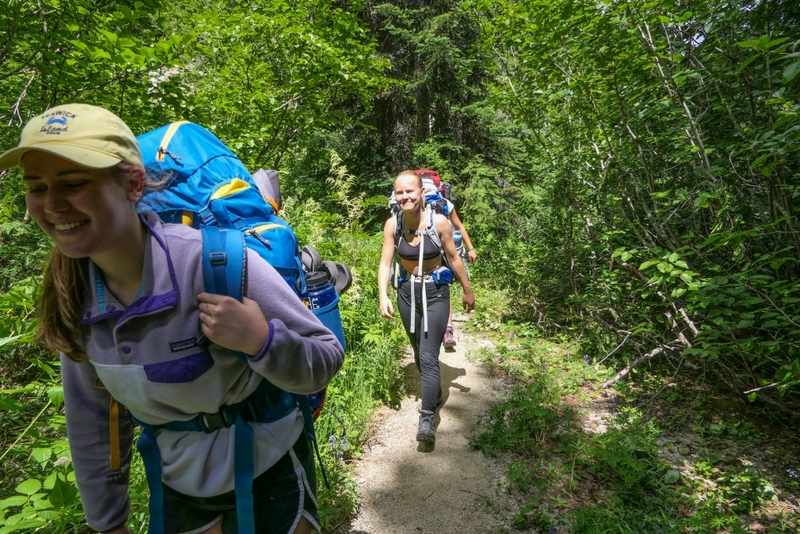 Backpackers on the PCT at Stevens Pass. Meanwhile, the PCTA is urging other interested groups nationwide to support bills now pending in both houses of Congress (The Wildfire Disaster Funding Act: H.R. 2862 and S.1842) that would end this type of “fire borrowing” and provide steady, reliable funding for protection of lands like the Stevens Pass property. As western fires have grown in number and intensity, the Forest Service has been forced to shift its budget to meet the challenge. In 1995, the agency spent 16 percent of its budget on firefighting. Today it is spending more than half. At the current growth rate, the agency predicts that by 2021, it will spend two thirds of its budget fighting fires, taking money away from other important priorities such as trail and campground maintenance and forest management programs that, ironically, are aimed at decreasing the severity of wildfires. Mark Larabee is the PCTA's Associate Director of Communications and Marketing. He is editor of the "PCT Communicator" magazine and manages the association's advocacy efforts. He is co-author of "The Pacific Crest Trail: Exploring America's Wilderness Trail" published in 2016. Larabee is a journalist, part of a team who won the 2007 Pulitzer Prize for breaking news for The Oregonian newspaper. He hiked the PCT across Oregon for a 2005 series for the paper and has been with PCTA since 2010. He lives in Portland.